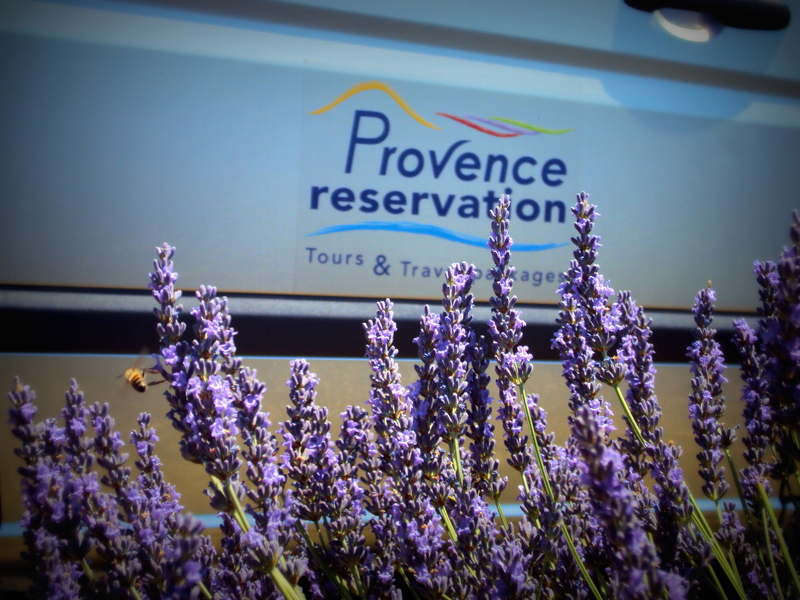 Lavender tours from Aix en Provence ! 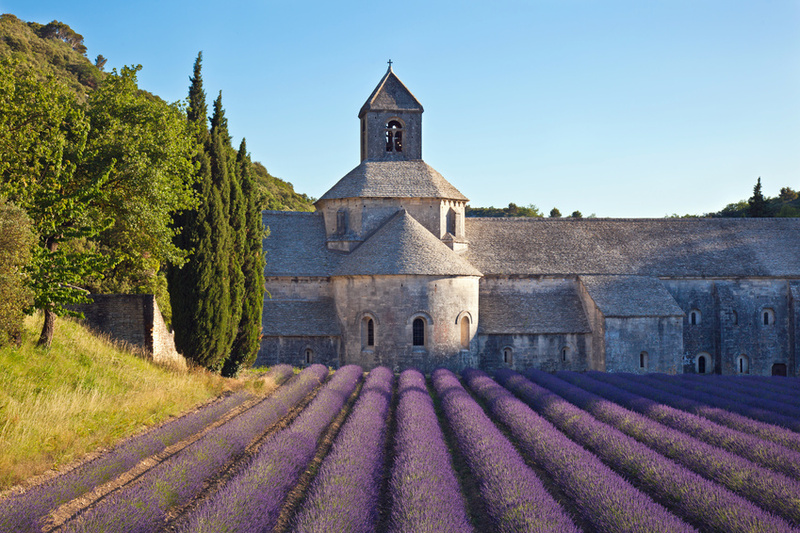 From June 17th until August 15th 2013, join one of the lavender tours starting in Aix en Provence to visit the blooming lavender fields ! Don’t miss these exceptional purple landscapes and follow your guide along the scenic roads to the wide Plateau of Valensole known for it’s lavandin fields. You will enjoy many photo stops during the tour to admire the flowers. You will also have a stop at a local producer’s place to discover the essential oil, lavender honey and many other products based on lavender. Don’t forget your camera to take incredible pictures ! 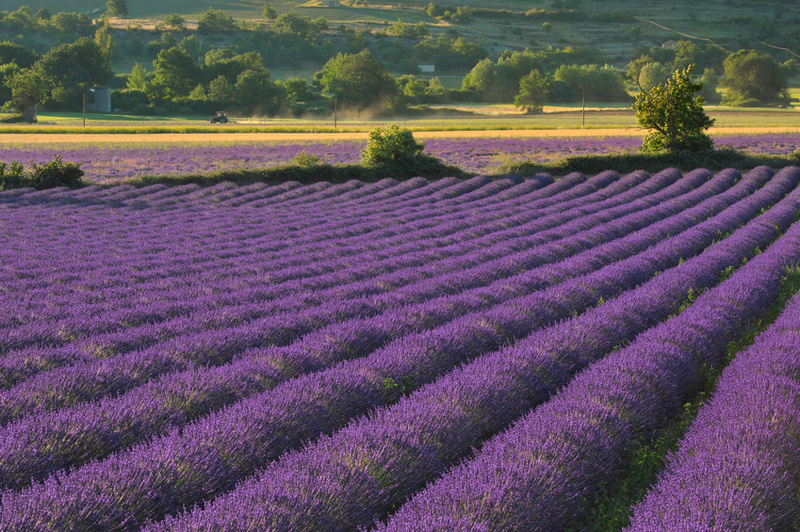 Follow your guide to the Plateau des Claparèdes with its several bories and lavender fields ! Many st op to take pictures and explore the fields. Direction the perched village Saignon, offering a panoramic view on the Luberon hill range and the Mont Ventoux mountain. You will also enjoy a photo stop at the fields located close to the ochre village of Roussillon. End your tour by a photo stop at the panoramic point of view of Gordes, one of the most beautiful villages of France entirely built with dry stones. Cross the valley of the Durance river, arrival on the Plateau of Valensole specialized in the cultivation of « lavandin », where small roads are winding among the fields of flowers. Many stops at the lavender fields to admire the purple flowers. 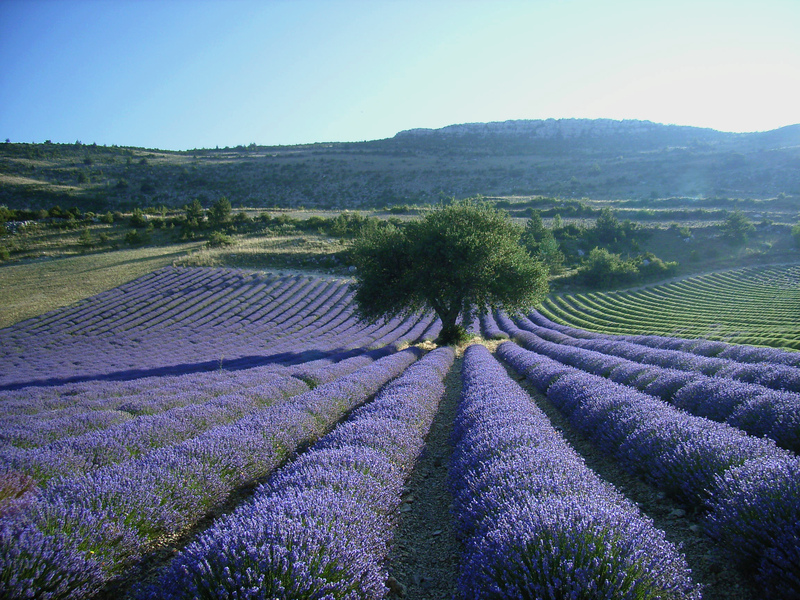 Stop at a farmer/ producer’s place to discover lavender and lavandin essential oils, olive oil, lavender honey…. Stop in the perched village of Moustiers-Ste-Marie, famous for its earthen ware workshops (free time for visit and lunch on your own). In the afternoon, continue to the breathtaking opening of the Grand Canyon of the River Verdon. Scenic touring of Sainte Croix Lake, view on the picturesque village of Bauduen and a last stop in Sainte Croix de Verdon before returning to Aix. 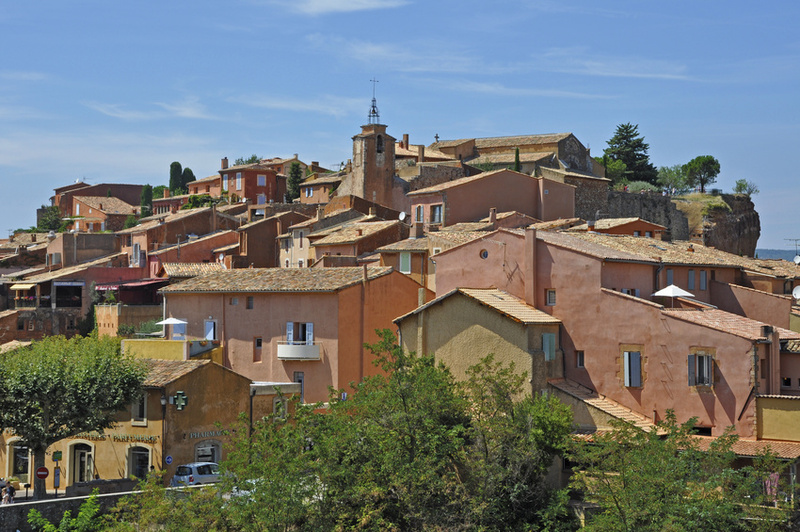 Your guide will drive you through the Luberon Regional Natural Park along the picturesque and winding Combe of Lourmarin to arrive in Pays de Sault with its wide lavender and lavandin fields in bloom. Stop in Sault, “the capital of lavender” (free time and lunch on your own). 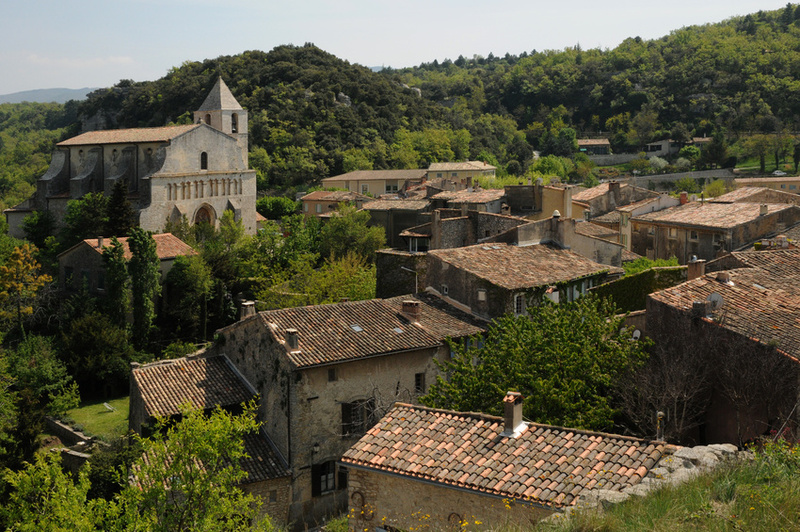 In the afternoon, a discovery itinerary through the most picturesque hill top villages of Monieux (stop), St Saturnin-les-Apt (panorama), Saignon (stop, exceptional panorama). Back to Aix through the Plateau of Claparèdes with its numerous « bories » (typical dry-stoned houses) among the lavender fields. 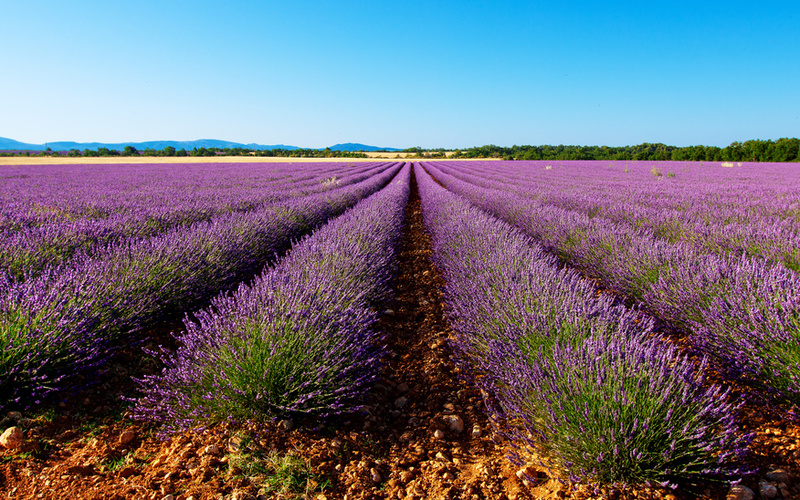 Lavender Tours from Marseille ! From June 10th 2016 until July 20th 2016 you have the opportunity to discover the lavender fields from Marseille ! You are staying in Marseille and want to admire the beautiful landscapes of lavender fields in bloom ? Join an excursion with Provence Tours : departure from the Radisson Blu Hotel Vieux Port in Marseille ! 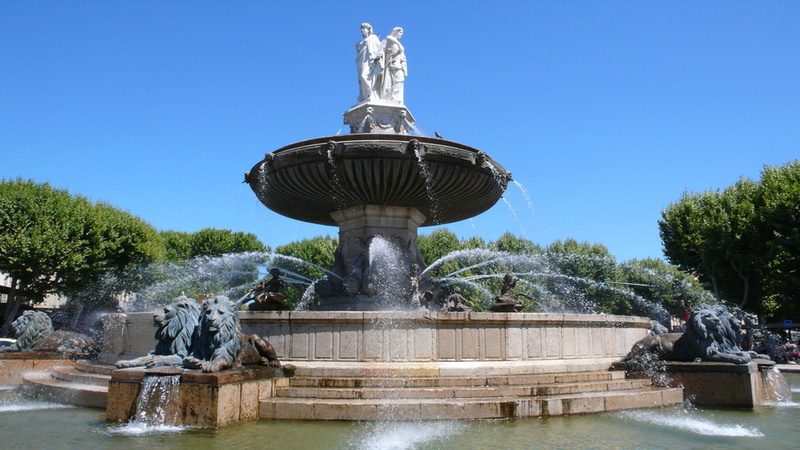 Start your day with the visit of the beautiful city of Aix en Provence ! Enjoy your free time to stroll through the center and weekly market to discover the numerous regional products. The afternoon will be spend through the lavender fields with several photo stops at different fields. Admire these breathtaking purple landscapes and don’t forget your camera ! 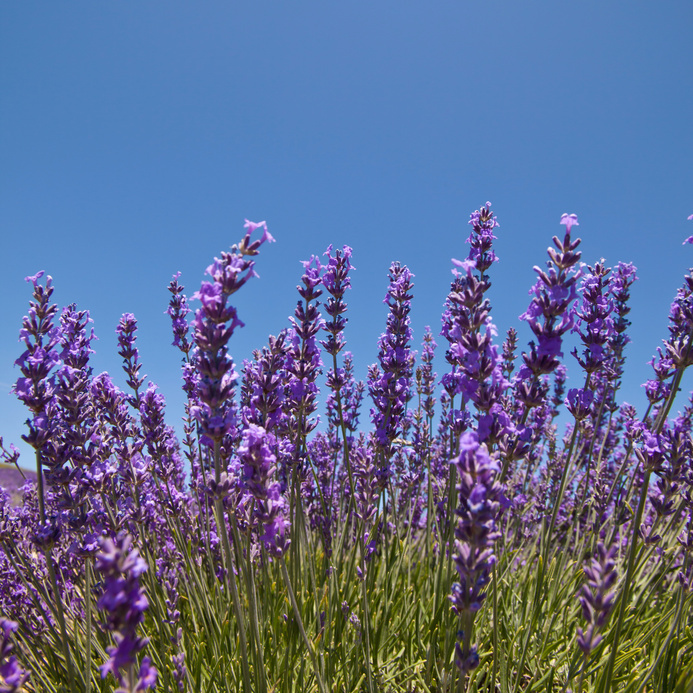 End the day with the visit of the village of Valensole where you will be able to find some essential lavender oil and many other products of fine lavender reputated for its benefits ! Lavender Tours from Arles ! 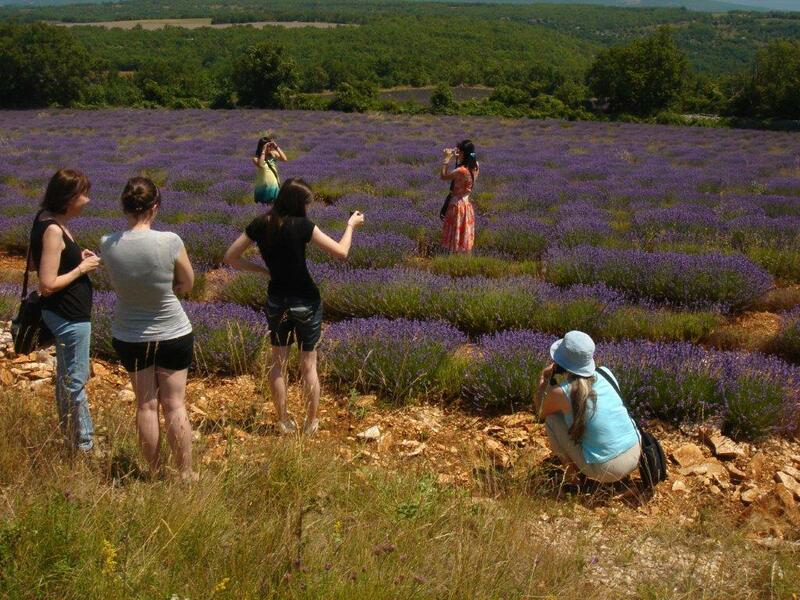 From June 10th 2013 discover the lavender fields in bloom with departure in Arles ! Start your day by a traditional open-air market in a traditionnal village of Provence and appreciate its stalls presenting a shimmering palette of fruits and vegetables… Drive along picturesque roads through wild lavender fields to Sault, lavender capital or Roussillon (depending on the flowering stage). Several photo stops to discover the flowers and walk throught the fields ! Free time in Sault or Roussillon to wander and do shopping in lavender shops. In the afternoon visit Gordes, hilltop village in Luberon, one of «the most beautiful villages in France», completely made with dry stones. Admire the castle and the St Firmin church. Visit of the LAVENDER Museum in Coustellet, where you will find out the secrets of the uses of Lavender essential oil : video, exhibition and demonstration of distillation. Photo stop at Senanque abbey (from June 15th to July 15th only), cistercian monument surrounded by a wonderful lavender field.